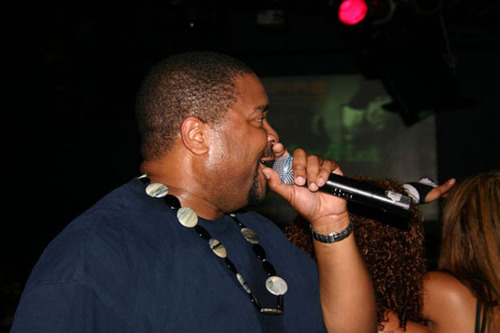 Sir Mix-A-Lot, pioneering Pacific Northwest rapper and producer, was born Anthony Ray in Seattle, Washington on August 12, 1963. He grew up in Seattle’s Central District and graduated from Roosevelt High School in 1981. Early on, Mix-A-Lot had an ear and a passion for music. Soon after high school he began DJing parties at local community centers. In 1989 Mix-A-Lot released his second album, Seminar. Soon after a financial dispute between NastyMix Records and Mix-A-Lot led to a court battle and ended with Mix-A-Lot leaving the company. He then signed with Def American Records, a new label founded by Rick Rubin, who had co-founded Def Jam Records along with Russell Simmons. Sir Mix-A-Lot is best known for the single “Baby Got Back” from his 1992 album Mack Daddy. The song was about his preference for women with curves, and MTV would air the video only at night because of its suggestive nature. Although Mix-A-Lot offered a critique of traditional European standards of beauty and body shape in the song, there were also those who were offended. At concerts he was picketed by women’s groups that accused him of exploitation by disparaging one group of women to build up another. has never been married and has no children.